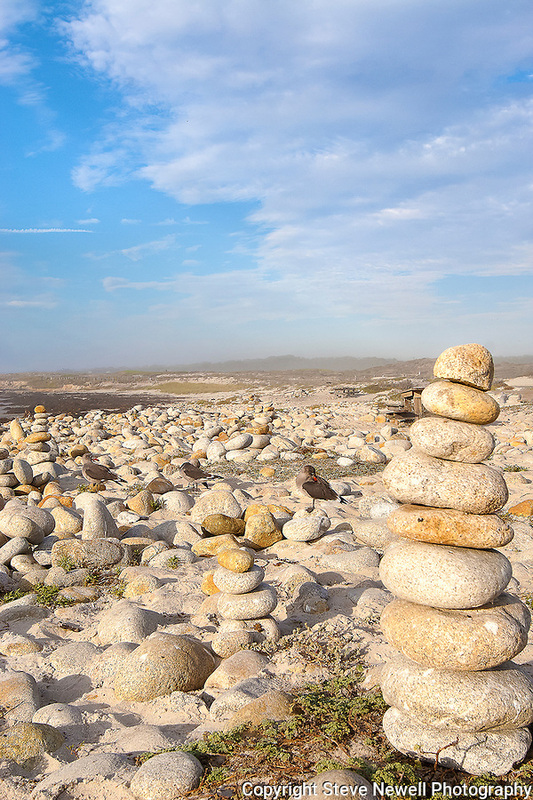 "Balance of Life" Pacific Ocean Beach in Pacific Grove, California. People that visit this beach on the Pacific Ocean stack up rocks from the area forming these piles. Several can be seen along the beach with birds soaking up the sun and enjoying the fresh sea breeze. When viewed in large print form you can see birds flying everywhere along the coast.